We provide Microsoft Windows Training Courses – Windows XP training, Windows Vista training, Windows 7, Windows 8 and Windows 10 training. Please note that Windows XP is no longer being supported by Microsoft, so if you are still using this version you may want to consider upgrading to Windows 7, Windows 8 or Windows 10. Microsoft Windows is the operating system used by PCs and is important for finding, organising and manipulating files and folders. All outlines can be adapted to the needs of the individual or organisation and we generally train on client site so you are looking at the system as it is set up in your workplace. We are happy to combine Microsoft Windows training with any of the other Microsoft range of applications. 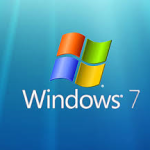 We provide Microsoft Windows training in Sydney, CBD, North Sydney, Chatswood, St Leonards, Parramatta, Ryde and beyond. 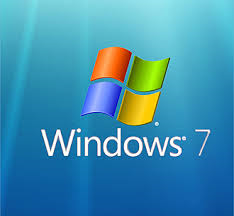 We are happy to provide Microsoft Windows 7, Microsoft Windows 8 and Microsoft Windows 10 upgrade workshops. This can be combined with Microsoft Office 2010, Microsoft Office 2013 or Microsoft Office 2016 upgrade training, workshops and floorwalking. Although we include links to Microsoft Windows training course outlined below, all training can be adapted to the needs of the individual or organisation and we would encourage you to think about what you actually need from the training and contact us to discuss.